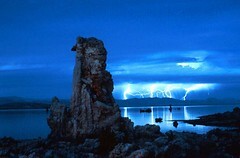 This entry was posted on Friday, January 7th, 2011 at 1:25 pm	and tagged with experimenting, flickr, galleries, Learning, lightning, Mono Lake, photos, postaweek2011 and posted in Business. You can follow any responses to this entry through the RSS 2.0 feed. « Another Reason Healthcare is so Expensive! Such clever work and exposure! Keep up the amazing works guys I’ve incorporated you guys to my own blogroll.